This chart illustrates the core Dramatica structure found in all complete stories. Its four major areas--Situation, Activity, Manipulation and Fixed Attitude--represent areas of conflict essential to fully explore a story. 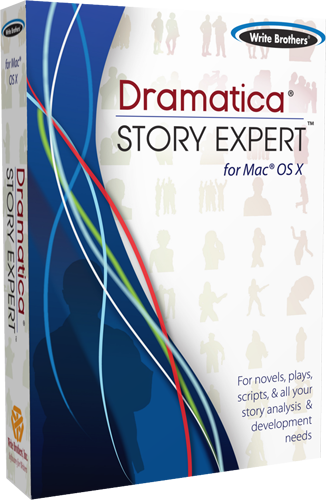 Various story components used to create dramatica story points such as the Story Goal and Problem sit nested within these four areas. These components have been arranged according to their relevance to genre, plot, theme and character. The 2000 edition of the Dramatica Dictionary provides you with an explanation for each and every unique term associated with the theory. The original 2D and 3D Dramatica Table of Story Elements. Prefer panels and speech bubbles when it comes to learning? Don't worry, we have what you need--a copy of the Dramatica comic book, The Secret of Great Stories, Vol. 1: How Does Story Work? A slightly updated fourth edition of the Dramatica theory book offers over 300 pages of pure story theory! A separate smaller book containing only the appendices from the original Dramatica Theory Book. This issue includes an analysis of Outbreak and The Hot Zone, articles on "How to Adapt Adeptly" and "How to Use Build Characters," Dramatica tips, Dramatica email, and more. This issue includes an analysis of The Vampire Chronicles, The X Files, Nell, an article on Dramatica Genres, Dramatica email, and more. This issue includes an analysis of Speed and Stargate, Interview with A Vampire, The Pagemaster, Star Trek: Generations, Dramatica Storytelling tips, the poem "The Day After Christmas," and more. This issue includes an analysis of Natural Born Killers, an article titled, "A Quick Lesson in Propaganda," Dramatica tips, Dramatica email, and more. This issue includes an analysis of True Lies and The Glass Menagerie, an article on the film Clear and Present Danger, Dramatica tips, Dramatica email, and more. This issues includes an analysis of Jurassic Park, Dramatica tips, Dramatica email, and more. Here you'll find a complete collection of all the reference sources available for quick and easy download to your device. The writing process, particularly with Dramatica, requires a constant back and forth between creation and analysis. These assets provide a quick and easy reference to make that process easier.